Nottinghamshire, Derbyshire, Leicestershire, Rutland, Northamptonshire and Lincolnshire. No-nonsense chain bar specialising in the Scottish brewery’s craft beers, with regular guest brews. The Coach House is a traditional pub situated in the centre of Market Deeping on the banks of the River Welland. Originally a coach house for travellers coming to and passing through the town it was later used by a local butcher before being converted into the pub it is today. Pet friendly accommodation and also a campsite. See website for full details. Greetham Retreat Holidays: If you’re ever in the Lincolnshire Wolds there are 2 lovely dog friendly pubs, George and Dragon at Hagworthing and the White Hart, Spilsby. Great cafes too, The Old Stables in Horncastle and Tea at The Bridge, Horncastle. Truly a bonus for us as we have dog friendly self catering accommodation. A traditional country pub in the heart of the Lincolnshire Wolds serving homecooked local produce at great prices. The Knockerdown Inn Excellent dog friendly traditional pub serving ‘homemade’ food and real ales, lovely location set in its own grounds with a campsite. 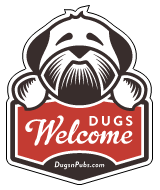 Dogs welcome in the bar, on the campsite and in the gardens. There are a total of 71 dog friendly listings in the East Midlands category. Please log in, or sign up as a member to view all listings.